tell me if this makes any sense, I have a PS4 Pro, and my headset is a Turtle Beach 500P Stealth 7.1 which I have been using since I got my last Fat model (uncharted trilogy bundle). For a while the headset works FLAWLESSLY but in the last few months to a year (depending on how much I use it) if I turn it on AFTER my PS4 I hear it say "power on" but I hear nothing over the headset, if I turn it off I hear "power off" etc, If I turn on the headset BEFORE my PS4 THEN I get sound no problem. Any ideas why it is doing this? for the record I have it hooked up to the rear USB port and I have the included optical running from the side of the dongle to the optical port next to said rear USB port. EDIT I forgot to mention that the Pro I have now is my 2nd one I sold my old one to a friend and bought a new one so is there MAYBE a setting I did not enable fully when connecting it to this one? For Honor! Gonna give that a whirl. In early February, we will be expanding our cloud storage space from 10GB to 100GB for PS Plus members — giving PS4 owners even more space to keep all those game saves. With cloud storage, you can save your game progress and character profiles on one PS4 system, and then continue the game on another system later without losing progress. Be sure to check it out next month. Video game makers are struggling to adapt to the internet era. With the PS5 on the horizon, Sony's video game boss has a plan. Shawn Layden, formerly head of Sony's US PlayStation team, now heads up its game-making division. "As the exclusive developer for PlayStation, we always have to set the high-water mark, to push the technology further than anyone else," he said. Upset fans aren't the only obstacle Layden and his team have to avoid. Gaming may be bigger than ever before, but these controversies have become much more than internet drama. In EA's case, the company's missteps translated to disappointing sales for Battlefield. Other game makers have been hit too. Even Sony's PlayStation 4, considered the leader of the console world at more than 94 million units sold in the past six years, struggled to turn strong profits over the holidays. It's all led one analyst to predict that this year the games industry will face its first sales decline in more than two decades. Part of Layden's job is to make sure the game studios Sony owns attract fans to the PlayStation with key exclusive games. Last year, those were titles like Marvel's Spider-Man, which wowed fans with its dramatic story and detailed re-creation of New York, winning a place on many game-of-the-year lists. Another of Sony's big releases last year, a new installment in the popular God of War series, similarly did well. The company's upcoming exclusive games, like The Last of Us Part 2, an ancient-Japan inspired action game called Ghost of Tsushima, the post-apocalyptic biker game Days Gone, and a world-building game called Dreams, are expected to be key releases both on the PS4 and, if rumors are true, a potential PlayStation 5 when it's launched in the next couple years. Speaking from his office in San Mateo, California, just up the road from other massive game makers like Nintendo and Electronic Arts, Layden didn't discuss the new device. But he did say new technologies that could replace home consoles, like game streaming technology similar to Netflix, are still years away from mass adoption. He also hinted that Sony's ready to buy up other game makers as it looks to expand the types of games it makes. He isn't alone, either. Microsoft's Xbox team has announced several game studio acquisitions in the past year as gaming takes on more prominence at that company. With games like Fortnite: Battle Royalebecoming so popular, how do you decide what types of games to make? Whether it's creating a direct competitor me-too type game or something different? I don't want to get into me-too. I think the world's got all the battle royale it needs right now. There's a lot of talk about how Apple is rumored to be creating a game service, and Google partnered with Ubisoft last year to test a possible streaming service, not to mention EA's announcement of one as well. And Amazon bought a game studio a while back too. How do you see all this changing your world? Suddenly, it's not just Sony, Microsoft and Nintendo anymore. It's an affirmation that gaming's here to stay. It's growing dramatically, and it's growing into a much broader entertainment landscape. With big players coming in like you mentioned, they'll bring in new energy and stimulus and agitation. Sony's PlayStation Now streaming service allows people to play some of its games over the internet, kind of like Netflix. With all this streaming talk, is it worth it yet? You have PlayStation Now, and I've used it, but I wouldn't play a shooting game on it. It doesn't feel ready to replace my console. It's definitely a thing. The challenge around streaming is that while it may get to a place reasonably quickly that folks who live on top of a good node in SOMAor Seoul or Stockholm can get a good streaming life, if you're PlayStation and you're available in 168 countries around the world, streaming will be a thing which will have interest to certain people in certain places. And delivered over not-the-internet still as well? The first thing I think about when people talk about even downloadable games is the military -- there isn't always good internet to download games in war zones. They need something you can bring to them in a postage box. But that's challenging. 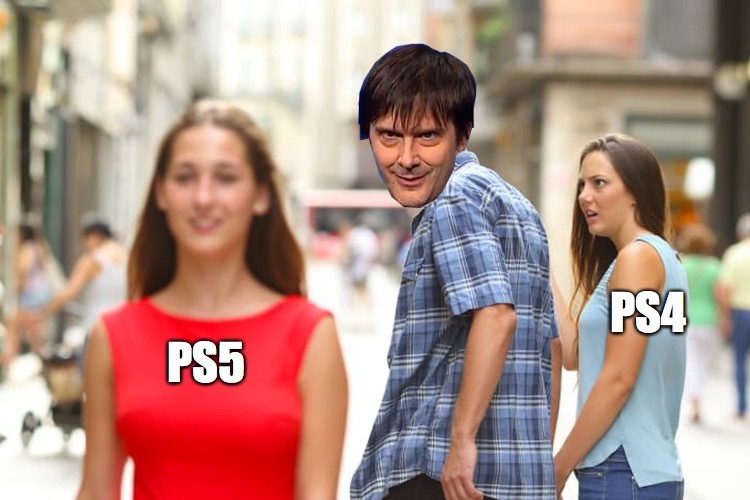 When you were developing the PS4, there was talk about making it downloadable only, but you decided to stick to the disk partially because of these reasons. I don't know what the timeline is. If the PlayStation continues to grow at this rate, we can leave no gamer behind. But streaming is something that PlayStation is active in and we want to make sure we keep current in that technology. You're not the first big company to bow out of the big E3 video game show in June, but I'm curious why you chose this year to drop out? When we decided to take video gamesout of CES, back in 1995 during the PlayStation 1 era, E3 served two constituencies: retailers and journalists. Retailers would come in -- you'd see a guy come in, and he'd say, "I'm from Sears, and I handle Hot Wheels, Barbie, VHS and video games. So what are you about?" There was a huge educational component. Now we have an event in February called Destination PlayStation, where we bring all retailers and third-party partners to come hear the story for the year. They're making purchasing discussions in February. June, now, is just too late to have a Christmas holiday discussion with retailers. So retail has really dropped off. And journalists now, with the internet and the fact that 24/7 there is game news, it's lost its impact around that. So the trade show became a trade show without a lot of trade activity. The world has changed, but E3 hasn't necessarily changed with it. We are progressing the conversation about, how do we transform E3 to be more relevant? Can E3 transition more into a fan festival of gaming, where we don't gather there to drop the new bomb? Can't it just be a celebration of games and have panels where we bring game developers closer to fans? Yes, that's probably the trajectory it needs to go to maintain relevance. In a perfect Shawn Layden future, I'm living in Tahiti. Mar. 20 – Chocobo’s Mystery Dungeon: Everybuddy! I'll have to check out the last season of TWD, too, now that the final episode is out. I thought Ghost of a Tale looked kind of interesting, too, although it's built by a single guy, and I've heard that navigation can get confusing (it's easy to get lost or turned around). Left Alive may be interesting to some people. I'd never heard of The Sinking City before, but it might be worth a look. Other candidates would include DMC V, MLB, DOA 6, and Sekiro. There are a dozen games on the list that I don't know anything about. If anyone spots a potential hidden gem, let us know. With traders jawing about a potential takeover by Sony (SNE +1%), Take-Two Interactive Software (NASDAQ:TTWO) has added to a three-day rally with gains of 5.4% today. I don't believe it but this makes more sense than MS acquiring EA simply because take-two has some big IP's that they own like GTA, RDR among others plus NBA 2K could become exclusive to playstation because they don't have an exclusive deal with the NBA the way EA does with Madden and the NFL. I still don't think this would be good for the industry though and I hope it doesn't happen. I know Michael Pachter has been pushing for someone to pick up take two for years and this rumor seems to come from the firm he works for. "We can confirm that as of April 1, 2019, Sony Interactive Entertainment will no longer offer full games through SIE's Global Digital at Retail program. This decision was made in order to continue to align key businesses globally. To support full games and premium editions, SIE will introduce increased denominations at select retailers. 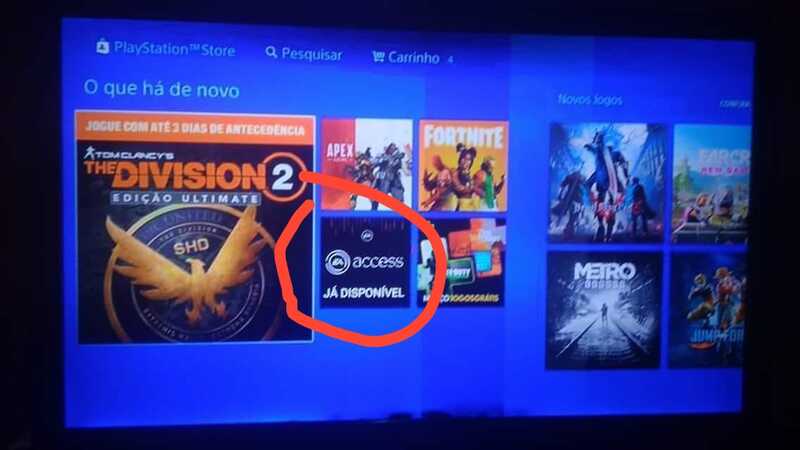 DLC, add-ons, virtual currency, and season passes will still be available." Sony has improved their digital refund policies. You can now change your PSN ID, if you want to. We’re excited to announce that the online ID change feature on PSN is officially launching to all PlayStation 4 owners later today. You’ll also be able to change your online ID via a web browser, and that feature will also be available starting today.